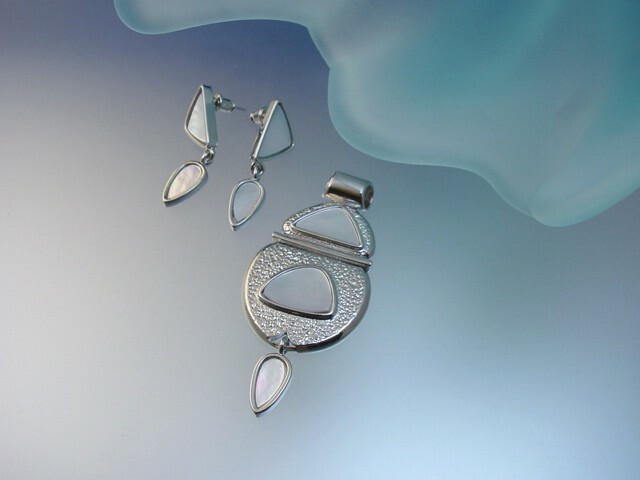 Kotty Style.com is your source for modern Mother of Pearl pendants and earrings. Extraordinary contemporary piece of jewelry. Pendant size: L - 2 3/4", W - 1 1/4"
Post earrings: L - 1 1/2", W - 1/2"